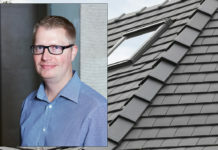 In this month’s article Richard Bishop, category manager for roof at Wienerberger, looks at condensation in roofs and what the Building Regulations say about it. Did you know that through breathing, washing and cooking, the average family produce a staggering 20 pints of moisture in the home every day? When the weather is chilly, we close our windows to keep the warmth in, turn our heating up and dry our clothes inside the house. This means that condensation can become a big problem as this water has nowhere to go, so how do we counter the effect? Why does condensation occur in roof spaces? The simple science behind why condensation occurs is that warm air can hold more moisture than cold air. A warm living space with a temperature of 20°C has the capacity to hold 20 grams of water per cubic metre of air, but a cold roof space at 10°C can only hold 8 grams. So, when the warm air rises up into the roof, 12 grams of water per cubic metre of air needs to go somewhere. When a surface is cooler than the dew point temperature (when the air is fully saturated with water vapour), condensation will occur as droplets, typically on the underside of the roof underlay. Condensation occurs in roof spaces when there is either too much warm air circulating upwards from living spaces, or when there is inadequate roofing ventilation. Older homes tend to have a degree of natural ventilation due to less accurate building methods, therefore offering more opportunity for moisture to escape. 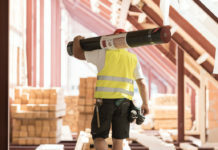 As newbuild homes have a much better thermal performance in a bid to reduce energy consumption, roof spaces tend to be colder and the risk of condensation is increased. This is the reason why Building Regulation Part C, Clause 6.2c states that, “Roofs should be designed and constructed so that their structural and thermal performance are not adversely affected by interstitial condensation”. In a correctly constructed roof, condensation may occur on a temporary basis due to extremely cold weather, when people are keen to keep warmth in and cold out by limiting air exchange in the home. This is a common occurrence and this condensation usually dissipates from the underlay within a few days with no harm done. However, when this condensation builds up it can make other roof elements such as rafters and insulation wet, causing water staining on the ceiling or structural damage to the roof. There are two solutions to this issue. Firstly, we can try to prevent water vapour from reaching the roof space as much as possible by opening windows, installing window ventilation systems and changing our living habits. British Standard BS 5250: ‘Code of practice for control of condensation in buildings’, offers guidance on how to create a well-sealed ceiling that will minimise air leakage through to the roof space. However, this is only a practical solution for new or renovated ceilings rather than existing ones. Secondly, we can make sure that a roof is designed with appropriate ventilation methods so that the moisture that does get up there can be released before it builds up to harmful levels. BS 5250 advises that “occupants often fail to use a building as intended…designers are advised to err on the side of caution and adopt robust fail-safe solutions”. Therefore, consideration into appropriate ventilation methods should be taken at the start of any roof project. 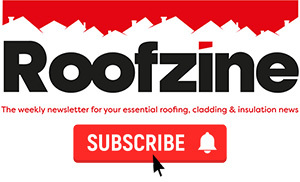 How can we ventilate a roof space? 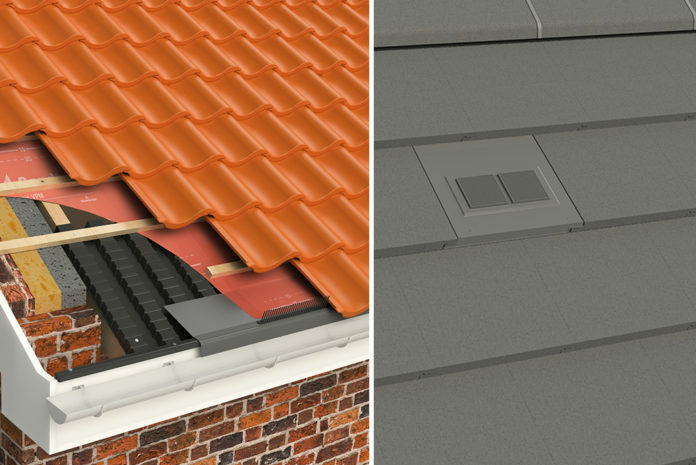 There is a wealth of roof ventilation products on the market, including eaves, concealed tile, ridge and top abutment ventilators. Roof geometry and pitch can dictate where these are best placed, but cross-flow ventilation is usually improved by ventilators installed just above the horizontal insulation at each side of the roof. Further high-level ventilators will help draw air in through lower ventilators creating a circulation path for air flow. BS 5250 offers minimum requirements for roof ventilation. 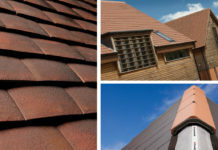 It recommends that with cold roof constructions (uninhabited, unheated loft spaces where the insulation is laid over a horizontal ceiling) there should be at least a 7mm continuous ventilation gap at the eaves when using a vapour permeable underlay with a normal unsealed ceiling. Good external air flow is also required for ventilation to work well. Eaves to eaves ventilation isn’t as successful in homes with full loft areas or that are situated very close to adjacent buildings. In part two of this article, we’ll be looking at how underlay can aid reduction in condensation.